Cults, eh? Always up to no good, and it seems the Ancient Greek variety take their jobs very seriously indeed. 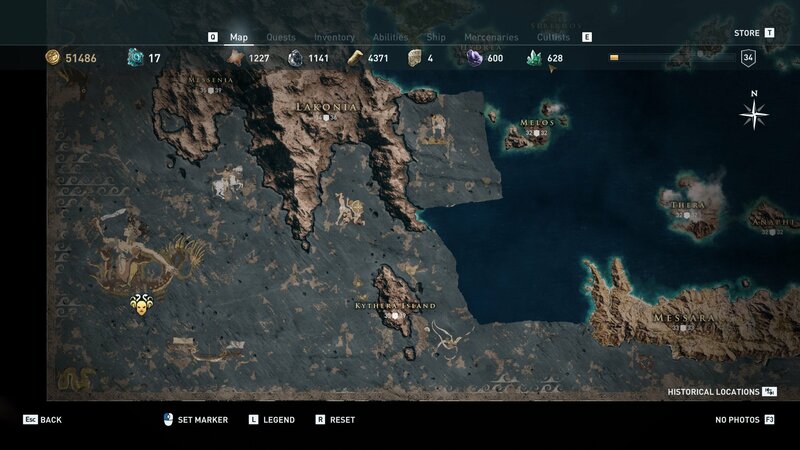 Throughout your time in Assassin’s Creed Odyssey you’ll encounter several factions from the Cult of Kosmos, and it’s up to you to hunt down the members of each cell. This is no easy task, but each group beaten will earn you a powerful armor set and weapon as a reward. The Gods of the Aegean sea are one of the toughest groups to tackle, thanks in large part to their penchant for spending their time on the waves. Each member can be found on a ship, meaning you’ll need to engage in naval combat before boarding them and fighting them personally. Before that though, you’ll need to locate each member. 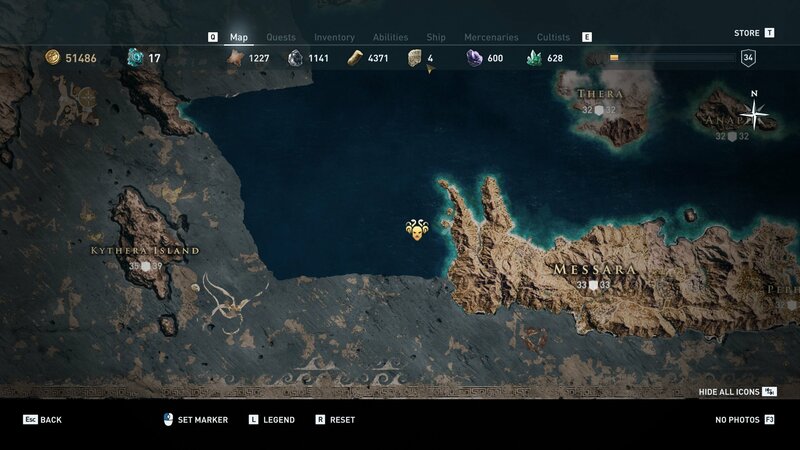 In this article we’ll teach you how to find each member of the Gods of the Aegean Sea in Assassin’s Creed Odyssey. After you finish the Serpents Lair main story mission you’ll be given a list detailing a number of different cultists, including Asterion from the Gods of the Aegean Sea. Despite being listed at level 32, he actually appears as level 28 in game, though this may be patched at a later stage. This could be a tough to impossible fight when you first complete The Serpent’s Lair, but if you’re too low level simply return to the hunt later once you’ve gained some more experience. Once you find him, you’ll need to board his ship to take him down. Don’t worry about the loot falling in the ocean though, you’ll be given your reward automatically for all targets on ships. You’ll need to take down Asterion before moving on to Sokos, as beating him will drop a letter hinting as to how Sokos can be drawn out. To lure out this cultist, you’ll first need to weaken Melos and take part in the Conquest Battle. During the fight at sea you’ll be able to attack Sokos on his ship, revealing a clue to the next member of the group. Once you’ve dealt with Sokos, The Octopus will be next, and thankfully she’s much easier to find. As with the other fights, you need to board her ship and whittle down her health. Once she’s bested you’ll have earned the Pirate Armor and a clue to Melantho’s location. After beating The Octopus, you then need to kill the leader of Messara. The father of Melanthos, he’ll have another clue pointing you to the final location of this cult member who is, as expected, at sea. 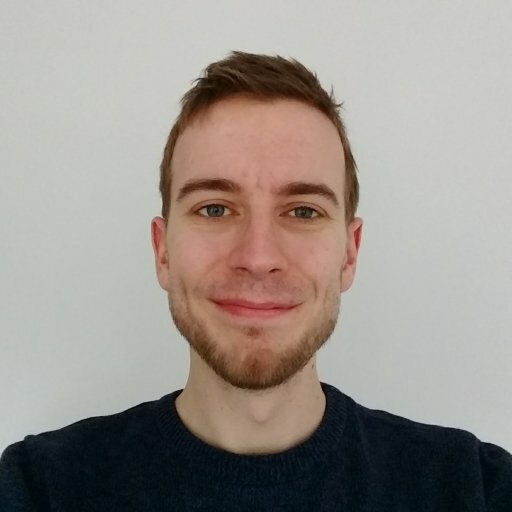 Despite being marked as level 32, when you find him he’ll actually be level 31, though this could be patched in future. The final cultist member before the Sage, The Mytilenian Shark requires you to have first killed Melanthos, before diving down to the ruins of her sunken ship in the Place of Amphitrite. Inside the shipwreck you’ll find a chest with the Sunken Goods clue. 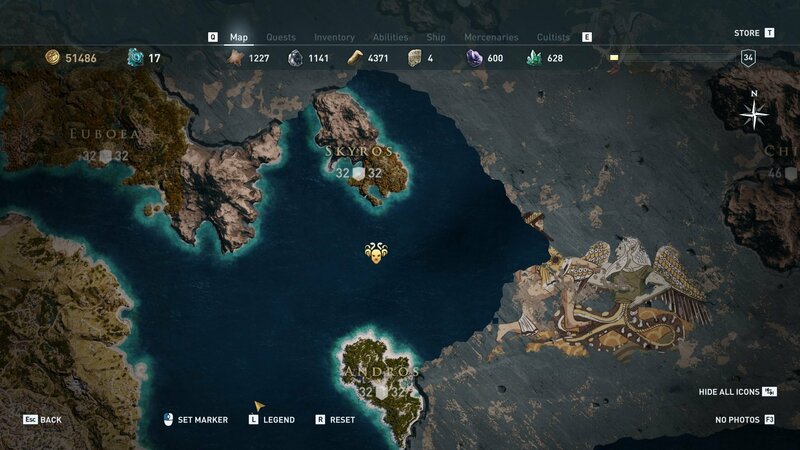 At least you’ll have the Mytilenian Shark’s location, pointing you towards the southern side of Samos. 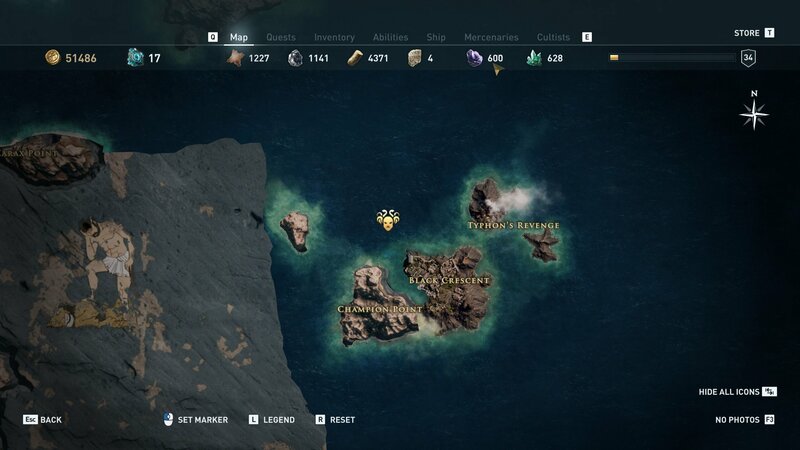 Sail down there and take the fight to him to complete the Legendary Pirate armor set and open up your path to the group’s Sage. 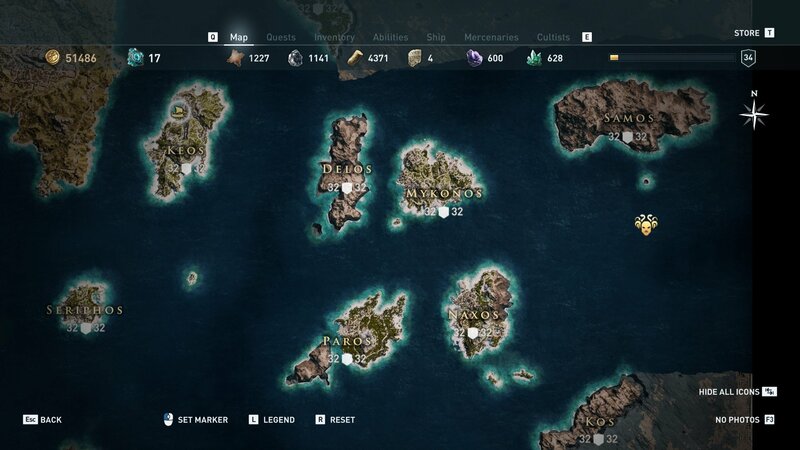 Once you’ve taken down the Gods of the Aegean Sea, you’ll then be able to take on The Hydra, Sage of the cult. Don’t expect an easy fight however, as The Hydra is a level 50 opponent and, just like the rest of the group, needs to be taken down in Naval Combat. 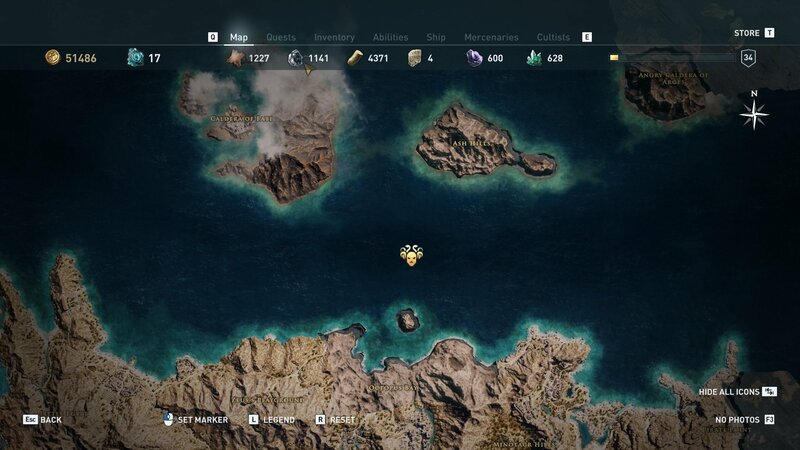 This is one of the toughest battles you’ll find in Assassin’s Creed Odyssey and we’ve yet to discover a good strategy, so all we can really do is wish you a fair wind and the best of luck. Once you’ve eliminated The Hydra you’ll not only have the full Legendary Pirate armor, but also the impressive Gorgoneion Xiphos legendary sword. If you haven’t already taken down the Silver Vein or The Eyes of Kosmos, this is a great opportunity to do so, and don’t worry, you’ll be spending most of your time on land for them both.